From 4th August 2017. Closes 28th August 2017. Linhay Gallery in Auburn is awash with pink and grey for Galah Gala, SALA exhibition.
" We are united through art. Making art, experiencing art and enjoying art." Galahs, the pink and grey cockatoos, are much loved throughout Australia for their cheeky expressions and playful habits. Often kept as pets as well as admired in large flocks in the wild, they are an entertaining mimic of both voice and random sounds. From Gala Opening to Galah Opening to Galah Gala, a playful conversation over dinner became the inspiration for this exhibition. 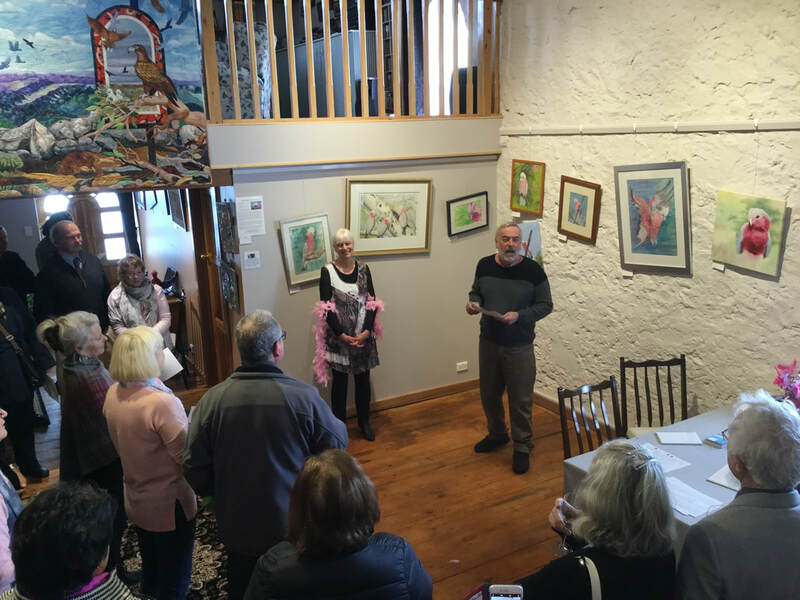 Artists were invited to submit a galah or flock of galahs in any medium and any size for the SALA exhibition at Linhay Gallery. The results are fantastic! a playful conversation over dinner became the inspiration for this exhibition . 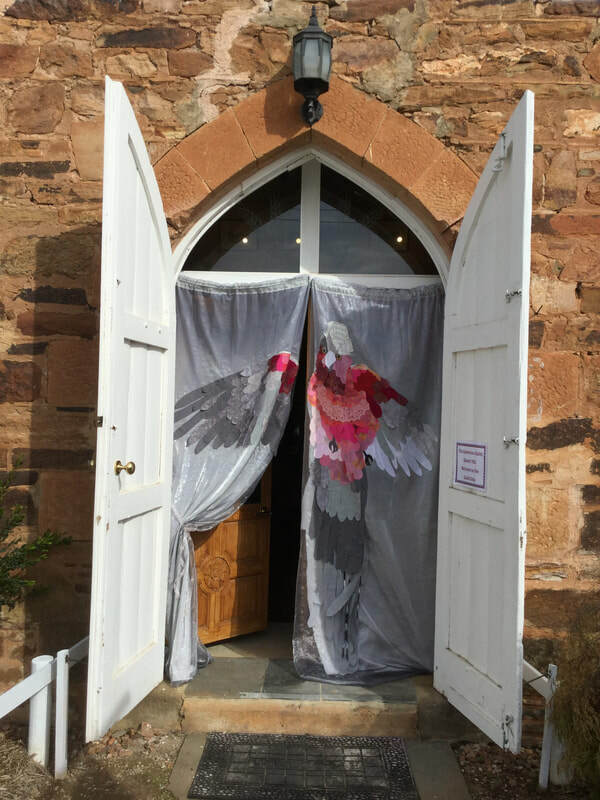 A glamorous galah created by Hellen Bakhoff and Glenys Brokenshire greets visitors at the entrance, welcoming everyone into a gallery filled with galahs in a wide variety of media. Twenty five local and Adelaide artists are exhibiting work that ranges in size from 1.5m x 2m, an award winning art quilt by Julie Haddrick of Blackwood, to a 10cm square acrylic painting by 7 year old Bethany O’Leary from Watervale. The exhibition was formally opened by VAPAA Mid North President, Neville Sloss. Glamorous Galah at the Gallery entrance. 10.00am - 4:00pm Friday to Monday.